Ottawa, June 8, 2018: The Canadian Senate has voted to pass the government's landmark legislation to lift the country's 95-year-old prohibition on recreational marijuana by a vote of 56 to 30 with one abstention. Despite the resolute opposition of the 32 Conservative senators and trepidation among some independent senators, Bill C-45 after Thursday night's vote now moves back to the House of Commons, reports CBC Canada. The House of Commons MPs will now have to decide what to do about the the almost four dozen amendments to Bill C-45 that were made in the Senate. The government will have to decide whether to approve, reject or modify the changes before returning the bill back to the Senate for another vote. Health Minister Petitpas Taylor has said that, once the bill is passed, provinces and territories will need two to three months to prepare before the retail sales of legal marijuana. Most of the Senate's amendments are minor, but a handful are significant. 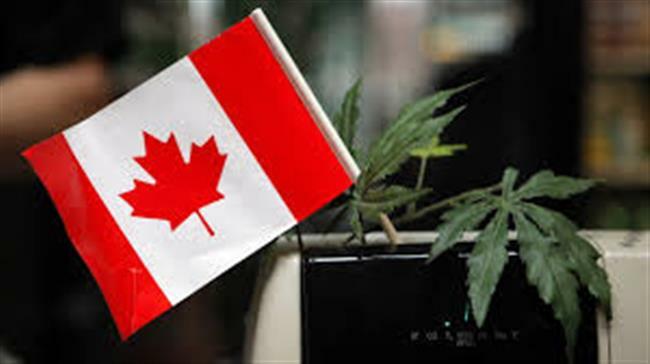 One amendment would allow provinces to prohibit home cultivation of marijuana. Another would impose even more stringent restrictions on advertising by marijuana companies, preventing them from promoting their brands on T-shirts and caps. Prime Minister Justin Trudeau has committed to making marijuana legal by this year. Canada will be the first G7 nation to legalise recreational use of the drug. Medical use has been legal since 2001 and is grown by federally licensed producers.